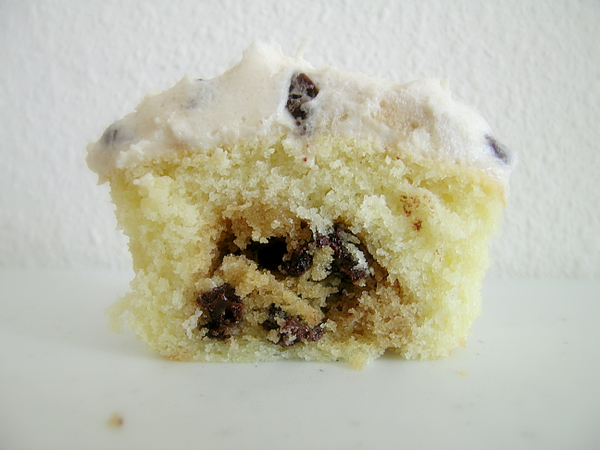 My inspiration for my chocolate chip cookie dough cupcakes came from How To Eat A Cupcake. I love chocolate chip cookie dough and had never heard of this type of cupcake, so when I saw this recipe I just had to make it for myself! I didn’t follow the same recipe as How To Eat A Cupcake because I personally didn’t to use a boxed cake mix, and mainly because I didn’t want that many cupcakes. So what I did was this… I bought a package of refrigerated Nestle chocolate chip cookie dough (the kind that is pre-cut) and immediately put it into the freezer when I got home from the store. This is the dough that will be baked into the cupcakes and it must be completely frozen when placed into the cupcake batter. A few days later, when I was ready to make these cupcakes, I whipped up a batch of Magnolia Bakery’s vanilla cupcakes (I halved the recipe to get 12 cupcakes, though ended up with 14). I filled my cupcake liners with batter, then cut seven little squares of frozen cookie dough in half so that I would get 14 and placed them each on top of the cupcake batter. I cut them in half because I personally didn’t want to end up with the majority of the cupcake being cookie dough, and the original recipe had also instructed to do this. I also didn’t want my cupcakes to overflow, so I slightly underfilled them to allow room for the cookie dough to bake. In the meantime, I prepared the cookie dough that I would be mixing into the frosting. This is the same cookie dough recipe that How To Eat A Cupcake used in her chocolate chip cookie dough frosting (see recipe in her post), but I used a different frosting base (my recipe is at the end of this post). The cookie dough itself needs to sit in the freezer for about 30 minutes to become firm, then broken into chunks, and then placed in the refrigerator until it is ready to be used. 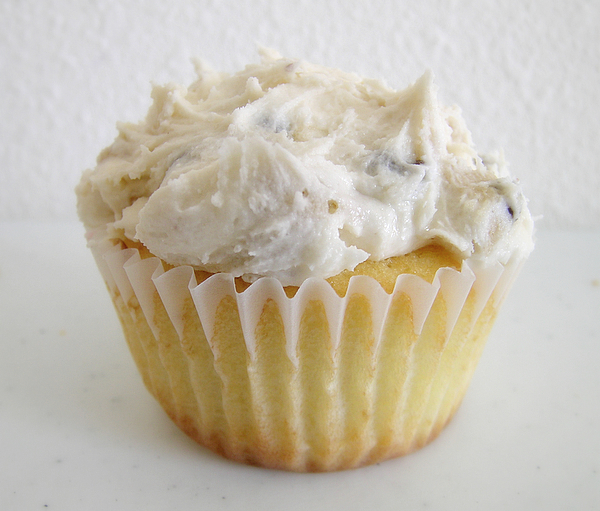 Just mix the chunks into the frosting when it has been made, then spread onto the cupcake. The look of the frosting reminds me of chocolate chip cookie dough ice cream! These cupcakes are very very good, but also very very sweet. And they definitely require a glass of milk after eating! I think that it would be just fine if you made your own cookie dough for this, and I also think that it could be baked into any flavor cupcake. In fact, I need to make these again sometime and think I will bake them into a chocolate cupcake. 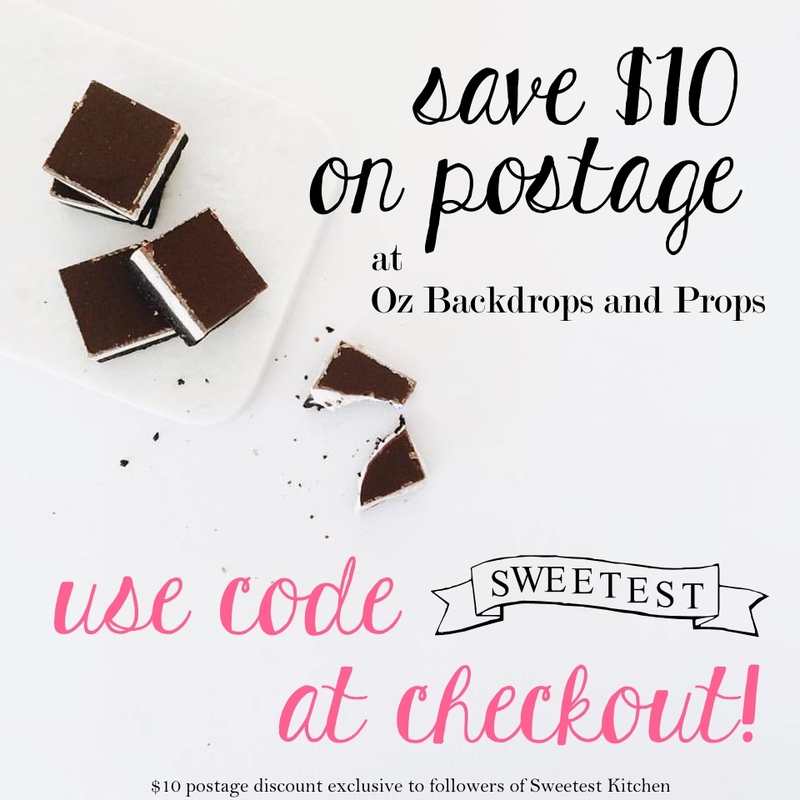 In the bowl of an electric mixer fitted with the paddle attachment, combine 1¼ cups confectioners' sugar, unsalted butter, salt, and vanilla, scraping down the sides of the bowl with a spatula as necessary. Add milk and continue mixing until well combined, scraping down the sides of the bowl with a spatula, as necessary. With the mixer running, slowly add remaining ½ cup confectioners sugar, mix until well combined. At this point you can mix in your cookie dough that you made while the cupcakes were baking. Mix in enough cookie dough to suit your taste, because I believe the recipe posted on How To Eat A Cupcake is for two dozen cupcakes, and if you're only making 12 you'll have some cookie dough leftover (unless you halve the cookie dough recipe). The best thing to do with the leftover cookie dough - eat it! There are no eggs in it so it is safe to eat. Yum! oooooh I am Super excited to try these!! I found you through flickr….so happy I did!!! Mmmm those are my favorite cupcakes ever!